The event was held in the framework of the project "Creating and Life-Giving", co-organized by International Mugham Center and Mədəniyyət TV with the support of the Ministry of Culture, Trend Life reported. The concert featured Azerbaijan's artists Aygun Bayramova, Gulyanag Mammadova, honored artists Ehtiram Huseynov, Rashad Ilyasov, Beyimkhanum Valiyeva, soloists of Azerbaijan television and radio Elgiz Aliyev, Sadaf Budagova, Ravan Amiraslanli as well as singer Aytan Maharramova. The evening featured such well-known compositions as "Qurban adına", "Laylay", "Sevgilim", "Nazlı yarım", "Azərbaycana gəlsin", "Sədaqətim var", "Axtararsınız", "Sənsən yoxsa mn", "Yandımımın"". The concert ended with the song "Bəs nə deyim", which was performed by Beyimkhanum Veliyeva and Ravan Amiraslanli. The singers were accompanied by "Səadət" Instrumental Ensemble conducted by the national artist Agajabrayil Abbasaliyev. The event's host was Honored Artist Rashad Ilyasov. Noteworthy, the first collection of poems by Suleyman Rustam "From Sadness to Joy" was written by the poet in 1927. In 1939-1940's, he wrote "Qachaq Nebi" novel. Main heroes of the novel are Qachaq Nebi - a famous leader of the national movement of the 19th century and Hejer - his brave wife and fellow fighter. His patriotic poems ("A day will come", "To the sons of Azerbaijan", "Old man's answer") written during the Great Patriotic War were dedicated to bravery of the people, their unshakeable belief and victory over the enemy. Suleyman Rustam's "Mother and a postman" poem had a great fame. This poem, written with a great emotional strength, deeply excites a reader and evokes his heartwarming feelings. He was not only the poet, he also was a translator. He translated works of I.A.Krylov, A.S.Griboyedov, A.S.Pushkin, M.Y.Lermontov, N.A.Nekrasov and others into his native language. 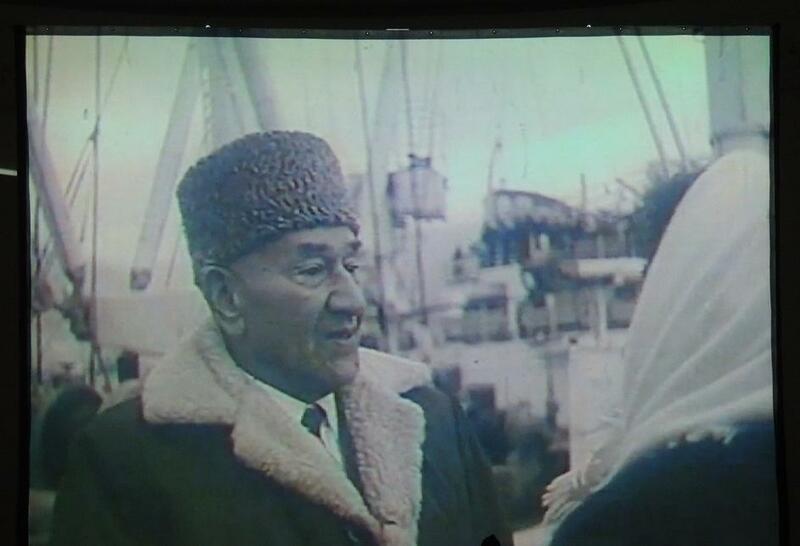 The poet died on June 10, 1989 and was buried in the Alley of Honor in Baku.